Much of the information available about the Maya calendar and the year 2012 is fraught with misconceptions and speculations about doomsday prophecies. Common themes such as catastrophic climate change, cosmic explosions, or lethal solar flares focus on end-of-the-world scenarios and astronomical misinformation. The majority of these predictions are made by non-experts and people who are not Maya. They do not reflect the perspectives or knowledge of Maya people, and lack a scientific foundation. Learn more about these predictions, and whether they have a scientific basis, or are occurrences unique to the year 2012. 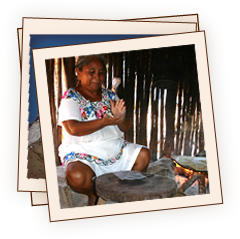 Hear the voices of the Maya people as they express their thoughts on 2012. 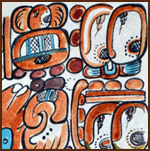 Many predictions have been put forward in connection with the end of the 13-baktun cycle, in the Maya Long Count calendar. Some are based on science, but most are misconceptions. People from all over the world have expressed their opinions on the meaning of the year 2012. Hear the voices of Maya people as they share their thoughts on 2012.